MGMEET MLT168A is very similar to MLT166A about which I had blogged before. 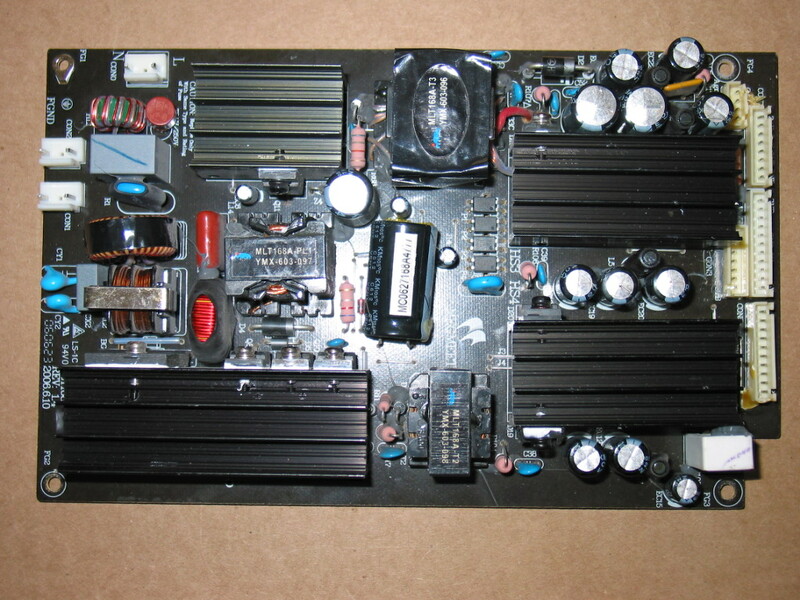 The power input is the single one at the upper left corner, just below the top edge of the board. Its pins are marked with N and L.
All the outputs are on the right side of the board. When AC is connected to the board there is a single 5V output and it is on the connector marked CON3. Those 5V are called standby voltage and are used to tell the power board, through another pin on CON3 to wake up and generate all other voltages needed for the normal TV operation. So, once again, when power board is supplied AC the only output voltage that should be there is the +5V standby voltage. Using a voltmeter you should be able to measure 5V between either of the two pins as displayed above and the ground (which is any of the Ground pins or the TV chassis). To turn on the rest of the voltages you need to pass the +5V from the standby to the POWER_ON pin. If there's a cable plugged in in CON3 you can use a wire to short those two. It's OK to short +5V directly there for reasons we will see in a minute. We didn't have a good connector so we turned the board and soldered a short wire between those two. While usually it is not recommended to pass +5V directly to anything (just out of precaution) in this case it is easy to see that there is a resistor (R133) at the input of the POWER_ON line. This means it is completely safe to pass +5V directly there. Once you have signaled (turned on) the power board you should be able to measure all other voltages as indicated at the top side of the board near the connectors - +12V, +9V and +24V. Note they may be slightly off the printed values. If you get 11V instead of 12V that's OK as long as it is stable. If it fluctuates or if it is off by more than 10% you've got a problem. And if you've got a problem you know who to call. No, AFTER the ghost busters! We often receive questions like that from customers and service technicians alike. Naturally, everyone likes to get their TV working ASAP.(*). In fact, I have blogged about that earlier, giving an answer to customers requesting that a board is sent to them before their board reaches us. Now I'd like to take that a step further and explain how we see things. When getting a new board a customer has four major options: purchase, repair service, exchange service and trade-in service. PURCHASE is the typical and most common American operation, along with trashing. I.e. you purchase what you need, wait until you receive it and then dutifully bring to the trash whatever was in its place before that. (**). The EXCHANGE SERVICE , as the name suggests, suggests that you send something in and get a working version of the same thing in its place. Usually the logic is that the replacement is sent as soon as the exchange is received and most customers really want to do it even only with a proof of shipping or "are used to doing it that way with George Electronics" (***). Coppell TV Repair used to do exchanges until we realized that 80% of the boards that we were receiving had been worked on, broken, used for parts, shoved in the ground, chewed by dogs and you-dont-want-to-know-what-else. But you get the point. The majority of the boards we were getting were only good for parts. There's also another reason why exchange is risky and it is worth for it to be explained, because decent folks who send good boards must also understand why are we rejecting them: boards often have unique components on them. For example every power board and every plasma sustain board have transformers on them which are uniquely made for that board. If the transformer burns there is usually no place to get it from. 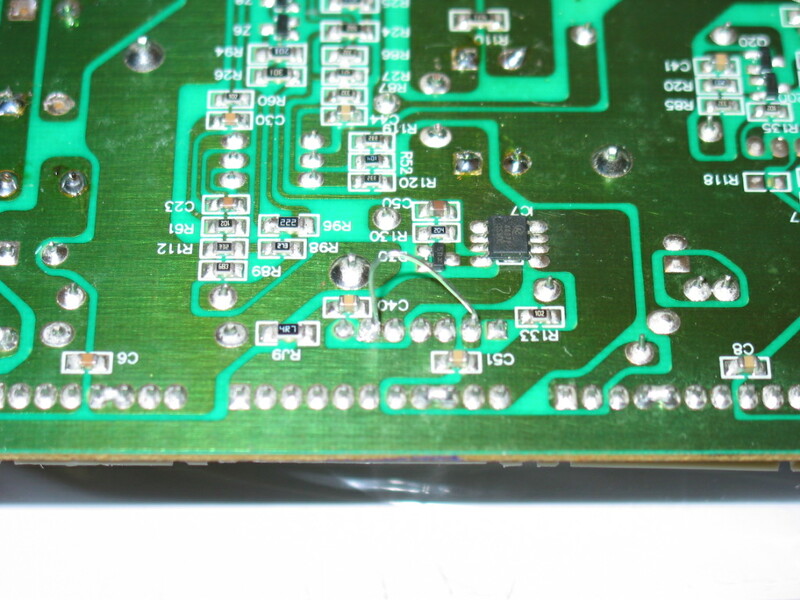 It is made especially and only for that board and since the manufacturer does not want anyone but them to service those boards (****) then the only place to get that component would be another board - working or broken. As every service center we always have a few broken boards neatly stacked under somewhere around, but problems tends to arise in the same areas of a module and soon we find that all such faulty boards miss the same transformer. In other words, sometimes we can't restore a board even if it has not been tampered with. The failure rate is different for the different modules, of course, but the core of the problem is the same: exchange may practically end up meaning sale since what we get back may turn out to be just useless. Without a source of unique components / broken boards exchange is a risky business for the provider, which is probably why it is not at all popular in this business. REPAIR SERVICE means that the customer sends in a module, the vendor receives it, repairs it and sends it back to the customer. It's usually the cheapest of all options (*****) and that is its major benefit. The drawbacks are that it is slow and also insecure. It is slow because it takes time from initiation to completion. Module needs to be sent back and forth and that alone kills a good week at best. Then you have service time on top of that. And this is where insecurity comes - the vendor may be overloaded with work, their testing environment (6) may shatter to pieces (speaking from experience here) or the problem on the board may be tricky and take longer to resolve than usual. Worst of all, it may turn out to be practically unsolvable - see the explanation for the unique components in the exchange service section. Without complete sourcing solution for replacement parts repair is never guaranteed. At the time of writing this article none of the repair services that we offer is completely guaranteed! There is more to be said about repair services in general, but the take-away from here is that it is cheap because it is not secure. Vendor can always call customer, apologize and cancel (7). The TRADE-IN SERVICE is well known and widely used. The first that comes to mind is car dealerships: you get raped on the way in and on the way out. That's how I used to think until I got in the repair business.. Customer orders a board and expects to receive it before the vendor receives their board back. Customer is OK with the concept of having to pay a bit more upfront, but expect to get that recovered upon their board's arrival. But for reasons explained above (can't argue with statistics!) it is not only easier, but I'd say a must for the vendor to assume that what they'll get in is a junk. Even if it does look OK, you can only know if it's OK when you do a full service on it - and by then it may be too late as you'd have already spent time and money on trying to restore it. The bold conclusion is that TRADE-IN and EXCHANGE services CAN NOT cost as much as a REPAIR! TRADE-IN and EXCHANGE offer less waiting time (no shipping back and forth) and less risks to the customer (board that's coming has been serviced and tested). In a free market that ultimately translates to a higher price! How much higher? Well the extreme is the price of the core - the bare defective board. Usually it is less. This has become another lengthy article with many undefined assumptions and still doesn't say even half of what I want to say on the subject. But I'll stop here and imagine I am trying hard to learn to express myself more simple and clear in future. Thank you for reading all the way up to here...your thoughts are appreciated! * Otherwise bad things may happen. Like looking out of the window, reading a book or, God forbid, dropping by unexpected by a friend just to say hi. ** Does not apply to spouses, gym subscriptions and HOA dues. Otherwise would would have been perfect. *** To which we automatically reply "then why don't you keep on doing it?!". Poor George Electronics! **** Service?! "We recommend you replace all three modules", says the manufacturer. "And that's a total of $350". Which is only 80% of the cost of a brand new TV with a year warranty. It's good to be a manufacturer in a world of AOL users! ***** Unless, of course, provided by a authorized/certified/glorified dealer. 6) Sounds more complicated than "TV". 7) "Sorry, dude...it's a bad mess...been working on it for 10 hours and it wouldn't bulge. I give up and you owe me too much, but if you give me $100 I won't press charges for more..."
Synopsis: this article discusses the most popular failure in HP PL4260N (and the bunch of other TVs based on the same plasma display set by LG), the means to diagnose which board has failed and provides links for repairs / replacements for the failed boards. Question: I have an HP PL4260N plasma TV (purchased 2006) that has suddenly lost picture. I don't know whether sound is still there since it is run through a home theater receiver. I have taken the back off and none of the fuses are blown and there is no obvious bulging of any capacitors ( with one possible exception of a large 450v, 330 mf capacitor... it is so very slight that it may not be a bulge at all). All fuses (there are 5) show continuity. When the on switch is pressed it turns blue and then back to red. No picture at all. I have read your very interesting blogs but have found nothing specific to my Hp model... some say is was actually manufactured by either Samsung or LG. I realize the information I'm giving you is sparse but from what I've read, I assume the failure of the Y an X boards as well as the power supply involves the failure of their fuses.... as mentioned, no failure noted. Should I go ahead and replace the suspicious capacitor as the first step? What can I do to determine the faulty board or combination of boards and what would each cost to repair. Also, if a board tests OK by you, what would the charge be for the testing? Answer. Yes, this is likely a YSUS or a ZSUS board on your PL4260N. A blown fuse is the most common and apparent indicator of a failed board, however sometimes a board can fail without blowing a fuse. So while a blown fuse is a guarantee of a failure, the lack of a blown fuse is still not guarantee of anything. Since your TV refuses to power on (going blue and then back to red) that would suggest the faulty board is shorted. 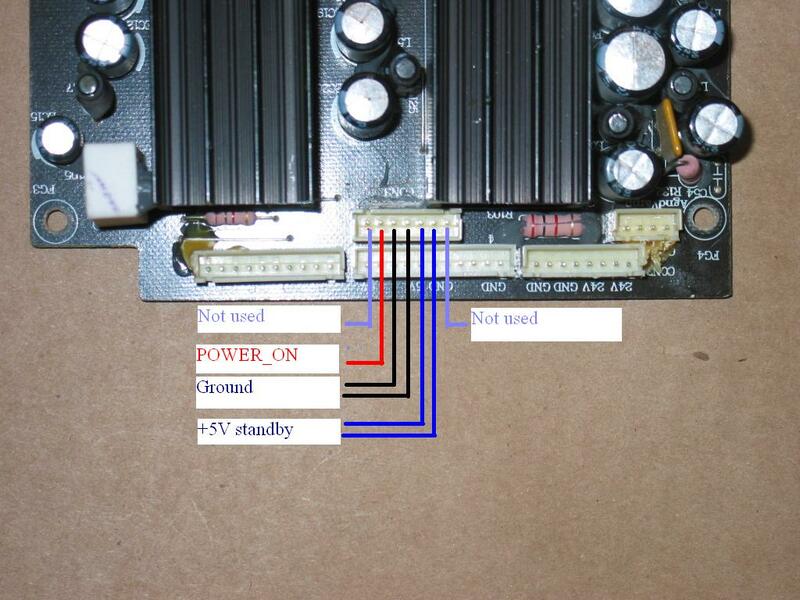 When the power component on it has failed, a power semiconductor element there (one or more) have melted and has created a permanent (short) connection between power input and ground. This is one of the possible outcomes of a power component failure and should not be taken for granted in all cases of a failure, but is still a very common one. The same shortage is the reason why fuses blow in the first place. In your case, as we said, the power supply board has responded faster than the fuse and shut itself off. Now when powering on it again detects the short before releasing full power voltage in that circuit and shuts off, which is why you see the TV going from blue back to red in a very short time. That would indicate that a board has failed and shorted a major power line, but did not blow a fuse and as a result when TV is turned on, the shortage is detected by the power board and it automatically shuts itself down. It is very easy to figure out the failed board since it prevents the TV from coming up: all you have to do is disconnect first one of the boards from power, say the YSUS board, and attempt to turn on the TV. If the TV comes on and stays on (of course without anything on the screen) then the disconnected board was the one that was stopping it. If the TV keeps on doing the same then connect the board back to power and disconnect the other one, then try to power on again. If TV comes on this time then you've found your faulty board and if it still doesn't then the problem is most likely in neither of the sustain boards (although it is theoretically possible that both of them are bad). Another simple way to find the failed board is to use DMM to measure resistance between Vs and GND pins on the power connector of the board. Zero or low (ohms) resistance in both directions indicate a failed board. Please note that this is not the only possible short a board may develop, only the most common one. This is actually the more common failure than the above. 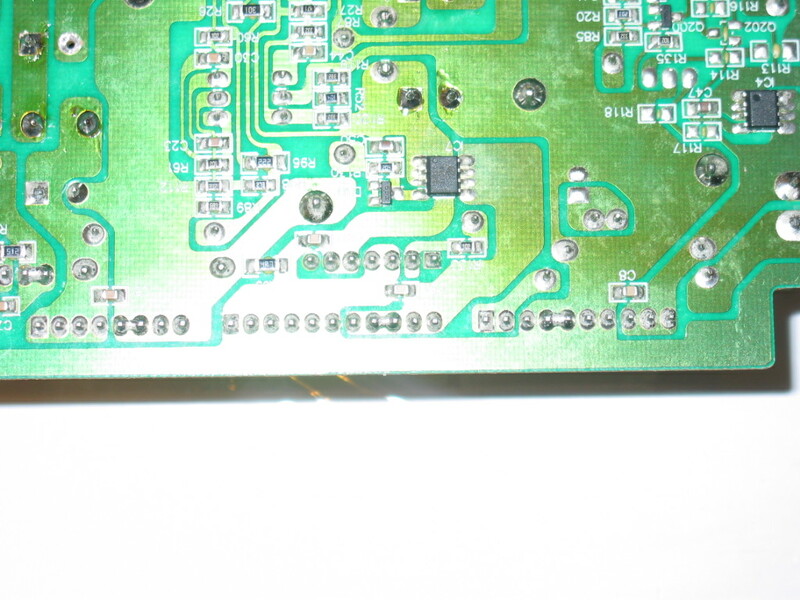 Dim and washed out image is most commonly caused by a failed ZSUS board. If there is nothing on the screen, however, it could be either the YSUS or the ZSUS board that is bad (and very rarely both of them). The easiest way to test which of the two may be bad is to let the TV run for 5-10 minutes (with dark screen) and then feel the heat sinks on both boards with your hand. The one that is not hot is probably the faulty one. If both are hot then the best thing to do is to send both of them for complete test in an actual working unit. It is worth noting that a good number of times when the board fails it does not end up being short. It is still malfunctioning, but not necessarily short. Even more, sometimes it may have blown the fuse and still NOT be short. So if you replace the fuse you'd be able to power on all right, but still without an image or - sometimes - with a flashing light on the screen or other defects. Once you figure our which board is bad - or if you can't figure it and need to check both - feel free to send them over to Coppell TV Repair (see section below) or, of course, any other vendor of your choice. It is also worth noting that the same thing is going to happen on your other sustain board, so you may consider doing a service on both - one because you must and the other one in advance. We have separate offers for repair of the YSUS and ZSUS boards, however should you decide to do both of them simply send both together, that's all.